While people in the northern hemisphere are sweltering in the summertime sun, those in Argentina are bundled up for a wintertime July in the southern hemisphere. The country’s geography stretches from the border of tropical Brazil down to chilly Antarctica. This makes for a wide range of temperatures so you need to plan accordingly if you’re looking for sunny days or snowy slopes. Here is an overview of popular destinations in Argentina listed from warmest to coldest. 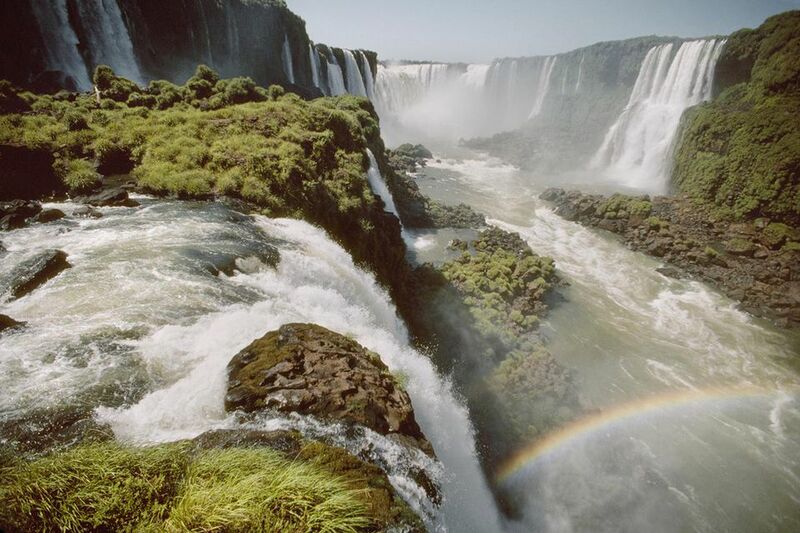 Iguazu Falls, on the border with Brazil, is a great spot to visit in July with average lows at 51 F and highs of 72 F. So close to the rainforest, there is always a chance of rain when visiting the falls. Bring an umbrella or just be prepared to enjoy rain mixed with waterfall spray. Salta is further south than Iguazu Falls and offers a drier and cooler climate. The area averages lows at 37 F and highs of 68 F. Temperatures drop significantly in the evening, so even mild days may turn to cold evenings. Bring a coat! Buenos Aires rarely sees frost, and rarer still snow, but temperatures will dip into the 40’s and 50’s. For July, the average low is 41 F and high is 59 F. The cold temperatures do nothing to hinder the street fairs found throughout the city. Stands are filled with wooly and warm things just for those visitors who were not expecting to find winter in South America. Bariloche has been called the "Argentinean Switzerland,” given the picturesque lakes and mountains that surround the city. Situated next to the cold water Lake Nahuel Huapi, the city offers abundant snowfall which draws many Argentines and tourists alike to enjoy holidays skiing and trekking. Temperatures range from average highs of 43 F and lows of 29 F.
Ushuaia boasts itself as the “City at the End of the World.” It sees an average low temperature of 28 F and highs of just 39 F.
The cold winds that whip off of the Antarctic waters make the area colder still. Given that July is the coldest month in this southernmost city of the world, it is no surprise that travel options revolve around glaciers, snow, skiing, and warm inside activities.